All Rand McNally Certified Refurbished devices have undergone a thorough refurbishment and testing process, ensuring the same functionality as a new device. These devices are typically non-defective customer returns that have been carefully restored to "like-new" condition, and come with the same cables and accessories included with new devices. 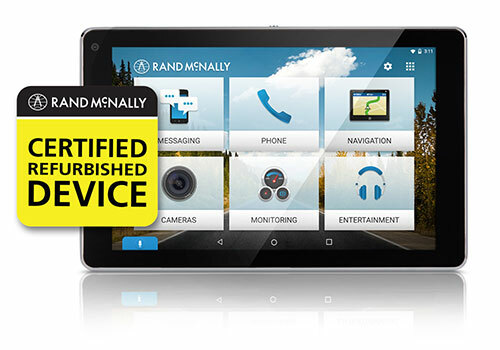 All Certified Refurbished devices purchased from Rand McNally come with a one-year limited warranty.